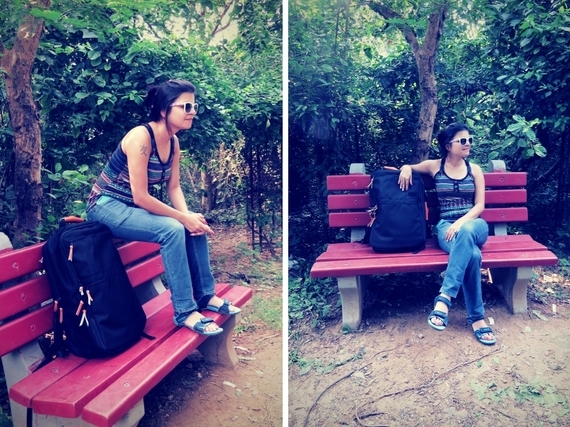 Picking the perfect backpack is a very important part of a perfect trip. There are many options available in backpacks, and those different sizes and materials are sure to confuse anyone. Travel Blogger at WanderWithJo.com, Digital Entrepreneur and Passionate Globetrotter. Picking the perfect backpack is a very important part of a perfect trip. There are many options available in backpacks, and those different sizes and materials are sure to confuse anyone. Having the wrong backpack would mean an uncomfortable holiday and carrying on with an awkward bag throughout the trip. Why not spend sometimes knowing the essential rules to pick the right backpack and cut down on those confusions? Just go through the following tips to be sure of carrying the perfect backpack for your next adventure. There are three main areas where you will need to focus on, the capacity, features and the fit of the backpack. Here are some rules to follow when selecting a backpack. The first focus should be on the size and capacity you are looking for. The standard size is of 22" x 14" x 9", however, it all depends on what all gear you need to carry with you. You may be looking for an overnight gear, and that would mean to opt for the 35+ liter range. A trip for one to three days would ask for a 30-50 liters pack, while for more days, you should go for 50-80 liters. However, you would need 70 liters or larger if planning to go for around a week. There are three kinds of frames, the Internal-frame, External-frame and the Frameless backpacks. The majority of packs are Internal-frame and designed to keep a hiker stable on uneven terrain. 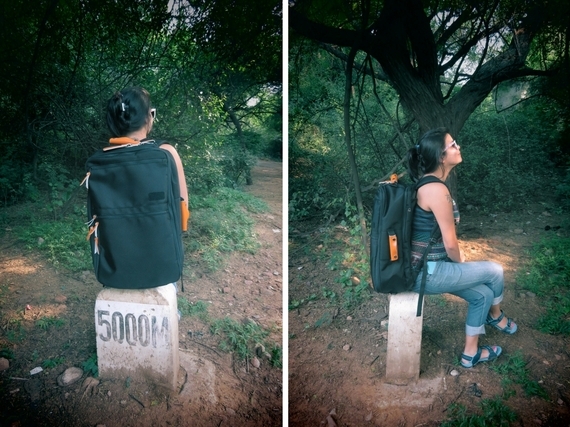 Go for an external-frame pack if carrying heavy, irregular loads or lots of gear. 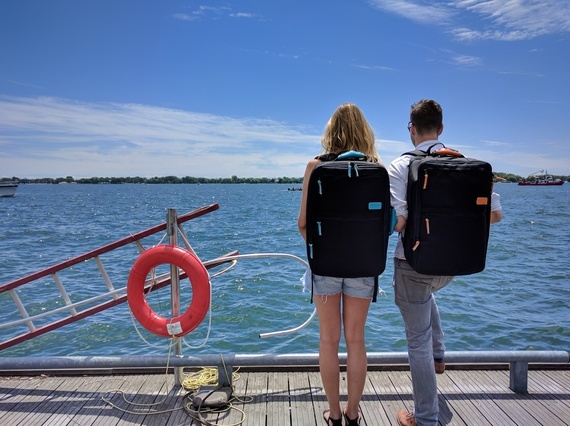 Frameless backpacks are perfect for those who like to hike fast and travel light. Do not ignore the Access Pockets as they can hold something that you might need from time to time and are just a quick zip away. Avoid too many small pockets as they can cause problems and confusions. Hipbelt pockets in the backpacks can accommodate small items such as snacks, smartphone, etc. Shovel pockets have flaps sewed onto the front of a Backpack and carry a buckle. You can use them for carrying loose, lightweight items such as map, jacket, etc. Front pocket on the exterior can be used to hold smaller, less bulky items. The pack need to be 100% waterproof but ensure that it is made of semi-waterproof material so that it does not get wet in a drizzle. You also need to make sure that material is able to dry soon and won't stay wet long or get heavy and musty. Look for a thick and lightweight material that can stay put during torrential downpours or monsoons. Always go for Padded shoulder straps for a more comfortable trip as the weight of your pack will be digging on to your shoulders all the time. Having pads on the straps would mean less pressure on your shoulders and they will also take the pressure off your lower back. It is always advisable to travel light in any case. Lockable zippers on each compartment are an added advantage as you can lock them together and keep away from worries of someone breaking into your bag or getting paranoid about someone going to put something inside your backpack. It is best to go for TSA-friendly locks that allow them to open the lock without breaking. I feel extremely lucky to have found my perfect backpack - have you found yours yet? Tell me about it in comments.